Dr. Francisco Arabia is a thoracic and cardiac surgeon based in Los Angeles, California. He has been in practice for 34 years. Dr. Arabia graduated from the Perelman School of Medicine at the University of Pennsylvania in 1983. He completed three residency stages: two at the Tulane University School of Medicine and the other one at the NIH - National Institutes of Health. In 1992, he completed a fellowship at the University of Arizona College of Medicine. Dr. Francisco Arabia is a board-certified specialist in thoracic surgery. He received several recognitions for his outstanding activity: the Best Doctor in America Award, in 205 and 2014, the Training Award of Excellence in 1998. Dr. Arabia contributed to several published studies and some of the topics he focused on are the total artificial heart, artificial heart patients, mortality and morbidity of adult heart transplantation, patients with mechanical circulatory assist devices. 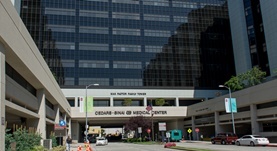 He is currently affiliated with the Cedars-Sinai Medical Center in Los Angeles. Dr. Francisco Arabia has contributed to 3 publications. Safety and Feasibility of Laparoscopic Abdominal Surgery in Patients With Mechanical Circulatory Assist Devices. Ashfaq, A.,Chapital, A. B.,Johnson, D. J.,Staley, L. L.,Arabia, F. A.,Harold, K. L.; Surg Innov. 2016 Feb 04. Changing trends in abdominal surgical complications following cardiac surgery in an era of advanced procedures. A retrospective cohort study. Ashfaq, A.,Johnson, D. J.,Chapital, A. B.,Lanza, L. A.,DeValeria, P. A.,Arabia, F. A.; Int J Surg. 2015 Feb 01. Results with Syncardia Total Artificial Heart Beyond One Year. Torregrossa, G.,Morshuis, M. J.,Varghese, R.,Hosseinian, L.,Vida, V.,Tarzia, V.,Loforte, A.,Duveau, D.,Arabia, F. A.,Leprince, P.,Kasirajan, V.,Beyersdorf, F.,Musumeci...; ASAIO J.. 2014 Aug 28.